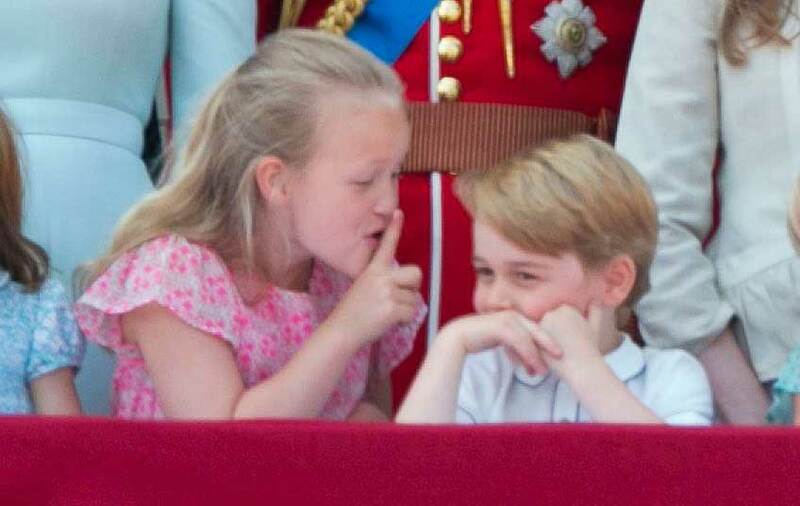 Mum-of-three Catherine is probably very excited to see her two eldest children Prince George and Princess Charlotte perform their special roles at Princess Eugenie’s wedding but it also comes with a little bit of pressure. Most parents will agree that while it’s adorable to see your children dressed as a pageboy or bridesmaid, you also have the fear that they won’t behave. Prince George and Princess Charlotte have a pretty solid record and have never played up in public before, so Princess Eugenie’s wedding is unlikely to have any mishaps involving them. Regardless though, it’s thought that Catherine will be in charge of keeping the young bridal party in check for Eugenie’s big day at Windsor Castle. Alongside her children, Catherine will be looking after the Queen’s other great grandchildren Savannah and Isla Philips and Mia Tindall, Eugenie’s goddaughter Maud Windsor, Robbie Williams’ daughter Theodora, and Louis De Givenchy, who is the only other pageboy. According to royal expert James Brookes, who spoke to the Express, Catherine will take on this role because she did it for Prince Harry and Meghan Markle and also at her sister’s wedding last year. James said, “We saw that with Harry and Meghan, Kate did step up and take a role there. So I wouldn’t be surprised if we do see her play the role of guardian as much to not only George and Charlotte to make sure they behave, but also to make sure any of the other pageboys and flower girls are on their best behaviour too.